Preheat the oven to 200°C (390°F). 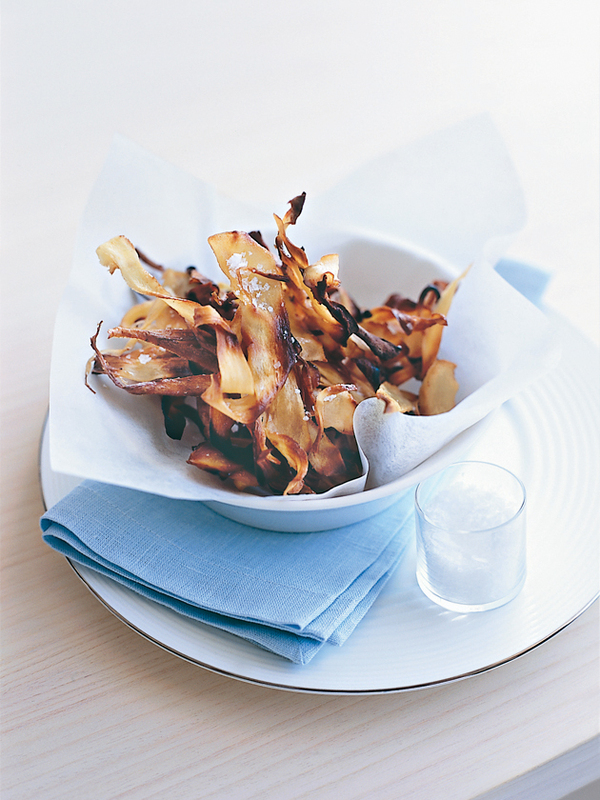 Use a vegetable peeler to cut the parsnips into long thin strips. Place on a baking tray lined with non-stick baking paper and toss with the butter, sugar and salt. Roast for 10 minutes, toss and cook for a further 8−10 minutes or until golden and crispy. Serves 4. Fantastic, we loved this version of “roast” parsnips.